The Governator Arnold, finally found some free time to speak to the media on his honest thoughts of the new Terminator film that McG is making, “Terminator Salvation”. The film makers have shown him little footage. He says he doesn’t have a feel for it and he wishes McG well on the film. He also said in this article that he had seen the movies “The Dark Knight”, “Iron Man” and “Wanted (starring Angelina Jolie) and Arnold says he loved the movie “Wanted” very much. He says if you don’t live up to the Terminator series and gives advice that if the film has impressive special effects, the film could dominate box office. He admits he won’t be seeing the new Terminator film when it hits theaters but hopes the film will be a hit and it sells well. Beware, if you haven’t seen the movie “Wanted” yet, Arnold kind of gave out the ending a little bit. Notice Arnold never once brought up anything about him being in the new film. I think he’s keeping things under wraps. 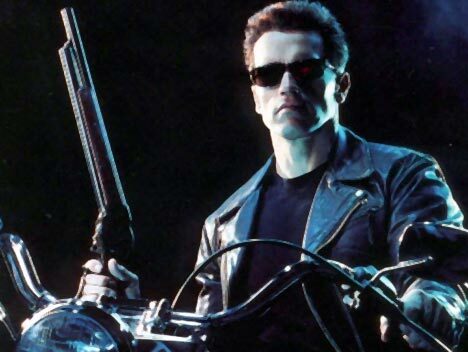 Report: Arnold to be CGI in “Terminator Salvation” and do voice overs??? McG, the director of “Terminator Salvation” has teased at Comic Con that Arnold Schwarzenegger may actually be in the new film. While he is still keeping secrets underwraps, he is still giving small hints that the Governator may have a pretty big role in the film, but the Arnold Terminator maybe CGI. My guess is that they will take Arnold’s image from the first three Terminator films and make him CGI for T-4. Arnold himself may have time to go into the studio to do voice overs, the real Arnold himself may not be in the film at all, just a CGI Arnold with him doing voice overs if that makes sense. I believe it’s true. Arnold will be in it, don’t worry. I’m sure the CGI Arnold as the Terminator will appear toward the end of the film. I am actually very anticipated for this film now. In the past, I used to worry it’s going to be bad, but after I’ve seen the teaser, I’m like, woah, this is gonna be a great Terminator film! I love “Terminator 3: Rise of the Machines” and I hope this one will be just as good! Looks like the T-800 Terminator played by Arnold in the very first Terminator film will be played by this guy in the picture here. That is bodybuilder Roland Kickinger. He has always been known as an Arnold look alike. Arnold himself, knows this Roland guy as Arnold has worked and trained with him before and once portrayed Arnold in his A&E biopic. In “Terminator Salvation”, that film will explain how Arnold’s character in the first one went back in time to kill Sarah Connor. How much do you want to bet that James Cameron and Arnold himself reccomended Roland to McG? That is probably what happened and it didn’t surprise me that Roland would be Arnold’s replacement. Action heroes Sylvester Stallone and Arnold Schwarzenegger will appear alongside the Bollywood stars Ashkay Kumar and Kareena Kapoor in Incredible Love, the story of an Indian stuntman who takes Hollywood by storm but cannot find true love there. The film will be the first Indian production to be shot at Hollywood’s Universal Studios and will have the highest budget in Bollywood history: more than £11m. Sly’s official website just confirmed the news that Arnold and Sly starring in that Bollywood film is true. I don’t think it’s a cameo though, Sounds like Arny and Sly are pretty much part of the leading stars of the film. No one ever said it was a cameo, just a thought. When they say “Star alongside” sounds more than just a cameo to me! Since this is an Indian film, I’m sure they’ll release it in the U.S. also since it will be filmed at Universal Studios Hollywood. The dream of Arny and Sly starring in a movie together is a reality! 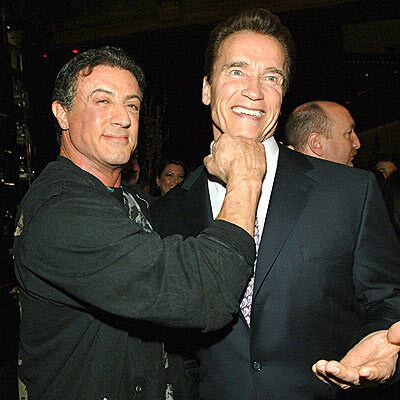 Report: Sly and Arnold to finally star in a movie together? For many years people has been wanting to see Sly and Arnold star in a movie together, well look like that dream is actually coming true. The two will star in the Indian Bollywood film about the Indian stuntman being filmed in Universal Studios in Hollywood. The leading stars are, Ashkay Kumar and Kareena Kapoor both Indian actors, Sly and Arnold will star along them. So sounds like it’s going to be more than just a cameo. The name of the film will be titled “Incredible Love”. 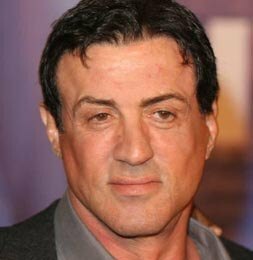 While Sly is still pretty popular in the U.S., he is very huge overseas. I know Sly is pretty huge in India, this is why Sly is doing a foreign film ’cause he has a lot of die hard fans overseas. If it’s true Arnold has been signed to this role, that’s a sign that he may return to acting full time when he’s done being governor.